Wondering if you've completed all of your TES531 assignments? Please complete the Checklist of TES531 of Assignments and find out. You can go back and edit that any time if you bookmark the 'edit your responses' link after completing it the first time. Recording and editing an audio file with Audacity. You can download Audacity here. You will need some kind of external mic or headset to do this. Record a short conversation or monologue about anything you like. 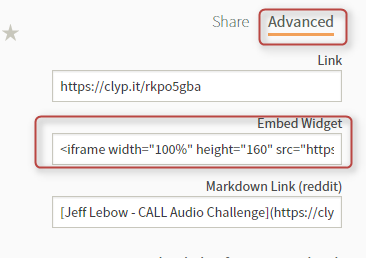 To do so, after uploading a file to clyp.it, click on 'advanced' and copy the embed code (remember to use html mode when posting on your blog). See the last minute of this screencast for information on how to do so. Task: Record some audio on your phone (this can be a short chat with your students, reflections on CALL so far, or anything you like). One of the issues with phone recordings is that they are sometimes saved in file formats (like .amr or m4a) that are not easily shared via Kakao, Band, or other apps. There are several ways to convert these files to friendlier formats. 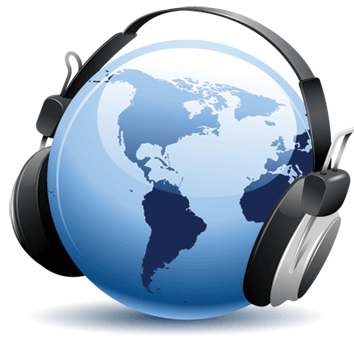 You can use online converters (listed on the Audio Guide) or upload your phone recording to your Google Drive and install the Driver Converter app by clicking 'Open with/Connect More Apps/and find 'Drive Converter'. I suggest converting that file to an mp3 file. If desired, you can then open that file in Audacity and do some basic editing. You can then share it via the TES531 Band, Google Drive or post on your blog using Clyp.it as described above. Check in on Feedly. See new posts from classmates, alumni, and other sections. Add videos to your YouTube Playlists.